America has yet to achieve a full recovery from the effects of the 2008 financial crisis. Still, it seems fair to say that we’ve made up much, though by no means all, of the lost ground. But you can’t say the same about the eurozone, where real G.D.P. per capita is still lower than it was in 2007, and 10 percent or more below where it was supposed to be by now. This is worse than Europe’s track record during the 1930s. Why has Europe done so badly? Krugman answers his own question by saying that the United States has been more loyal to Keynesian economics. …what stands out from around 2010 onward is the huge divergence in thinking that emerged between the United States and Europe. In America, the White House and the Federal Reserve mainly stayed faithful to standard Keynesian economics. 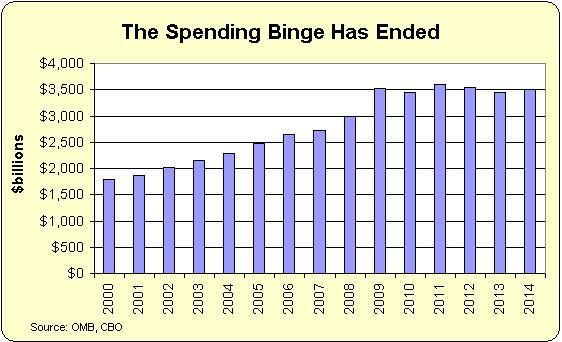 The Obama administration wasted a lot of time and effort pursuing a so-called Grand Bargain on the budget, but it continued to believe in the textbook proposition that deficit spending is actually a good thing in a depressed economy. I have to confess that alarm bells went off in my head when I read this passage. But 2010 was actually the turning point when fiscal policy in America moved very much in an anti-Keynesian direction. Here’s the remarkable set of charts showing this reversal. 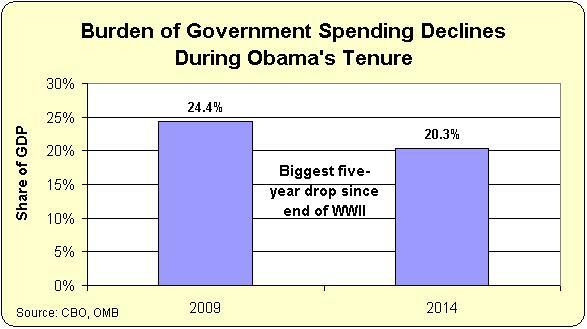 First, there was zero spending growth in Washington after 2009. 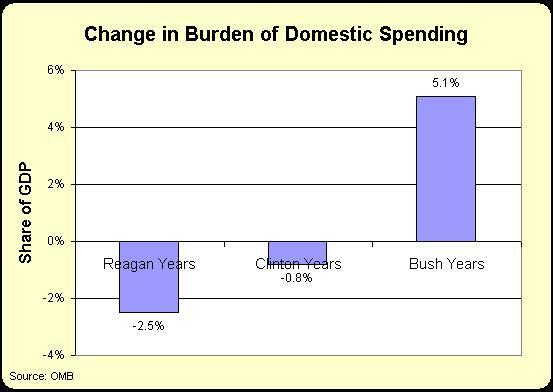 Second, this modest bit of fiscal restraint meant a big reduction in the burden of government spending relative to economic output. Wow, if this is Keynesian economics, then I’m changing my name to John Maynard Mitchell! So is Krugman hallucinating? Why is he claiming that U.S. policy was Keynesian? Let’s bend over backwards to be fair and try to find some rationale for his assertions. Remember, he is making a point about U.S. performance vs. European performance. So maybe if we dig through the data and find that European nations were even more fiscally conservative starting in 2010, then there will be some way of defending Krugman’s claim. 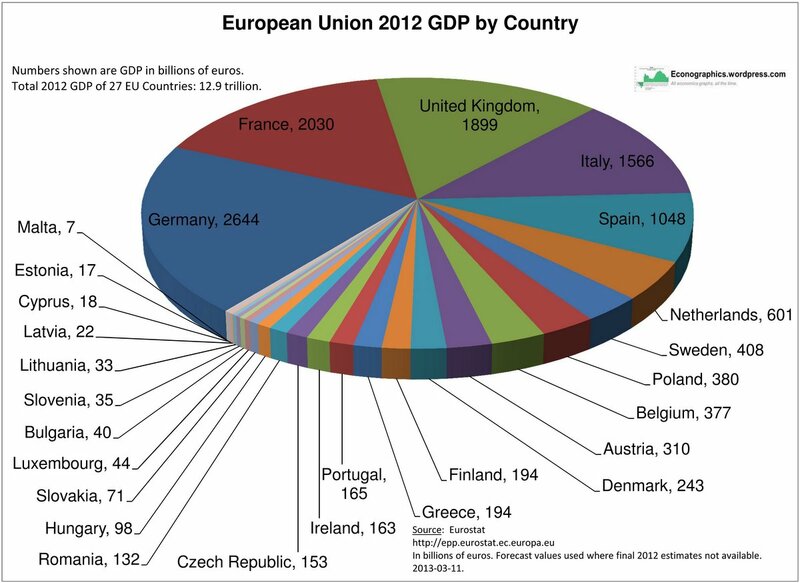 Yet I looked at the IMF’s world economic outlook database and I crunched the numbers for government spending in the biggest EU economies (Germany, UK, France, Italy, Spain, Netherlands, Sweden, Belgium, accounting for almost 80 percent of the bloc’s GDP). Contrary to Krugman’s claims, total government spending in those nations grew slightly faster than it did in the United States between 2009 and 2014. 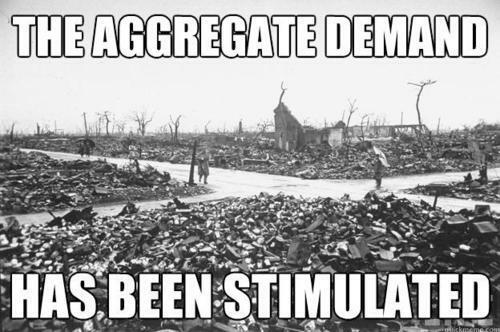 So on what basis can Krugman argue that the U.S. had a more Keynesian approach? Beats the heck out of me. I even looked at the OECD data on deficits to see whether there was some way of justifying his argument, but those numbers show the biggest reduction in red ink (presumably a bad thing according to Keynesian stimulus theory) took place in the United States. But I will close by acknowledging that Krugman’s column isn’t just focused on fiscal policy. He also argues that the Federal Reserve has been more Keynesian than European central banks. My impression is that both the Fed and the ECB have been keeping interest rates artificially low, so I’m not sure that’s an effective argument (or an effective policy! ), but I’ll leave that issue to the folks who specialize in monetary policy. P.S. If you want additional examples of Krugman’s factual errors, see here, here, here, here, here, here, here,here, here, and here. Equally bizarre, he really said that the terrorist attacks on the World Trade Center would “do some economic good” because of the subsequent money spent on rebuilding. And let’s not forget that John Maynard Keynes actually did write that it would be good policy to bury money in the ground so that people would get paid to dig it out. As you can see, it’s difficult to mock such a strange theory since proponents of Keynesianism already have given us such good material. Here’s an amusing satirical image of Ludwig von Mises describing Keynesian economics. Here’s Paul Krugman doing a Keynesian weather report. This is the one that got the biggest laugh from me. Last but not least, here’s an image of a neighborhood that has been the recipient of lots of stimulus. I bet the people are very happy. Sort of reminds me of this satirical Obama campaign poster. Let’s close with a few serious observations. I recently added my two cents to the debate in an article debunking the White House’s attempt to justify the failed 2009 stimulus. And there’s lots of additional material here, here, and here. 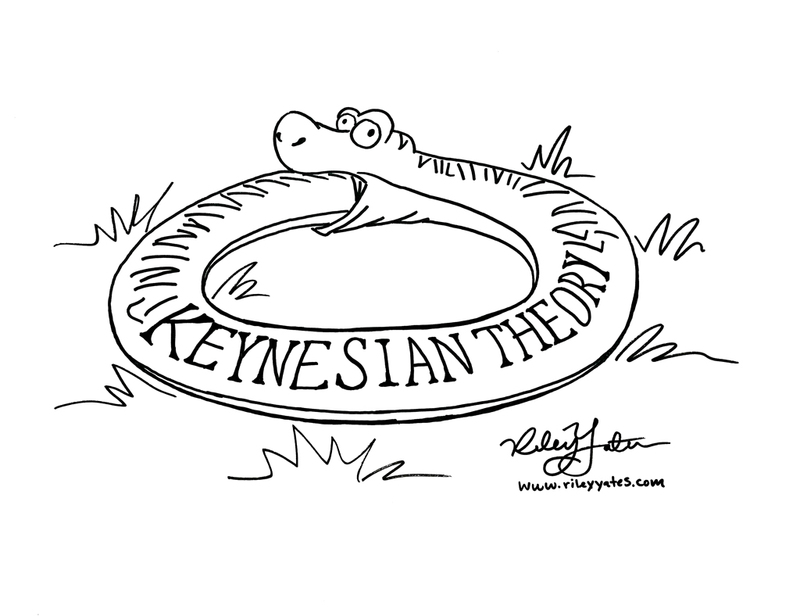 My favorite cartoon on Keynesian economics also is worth sharing. But you’ll probably learn just as much and be more entertained by this video from the Atlas Economic Research Foundation. It looks at the left’s fascination with disaster economics. And here’s my video debunking Keynesian theory. I’ll end with a gloomy comment. It’s easy to mock Keynesian economics, but it’s very hard to put a stake through its heart. How can you kill an idea that tells politicians that their vice – buying votes with other people’s money – is actually a virtue? P.S. Here’s the famous video showing the Keynes v. Hayek rap contest, followed by the equally entertaining sequel, which features a boxing match between Keynes and Hayek. And even though it’s not the right time of year, here’s the satirical commercial for Keynesian Christmas carols.